7 wired defense zones and 99 wireless defense zones. pls choose your prefer language. 1. 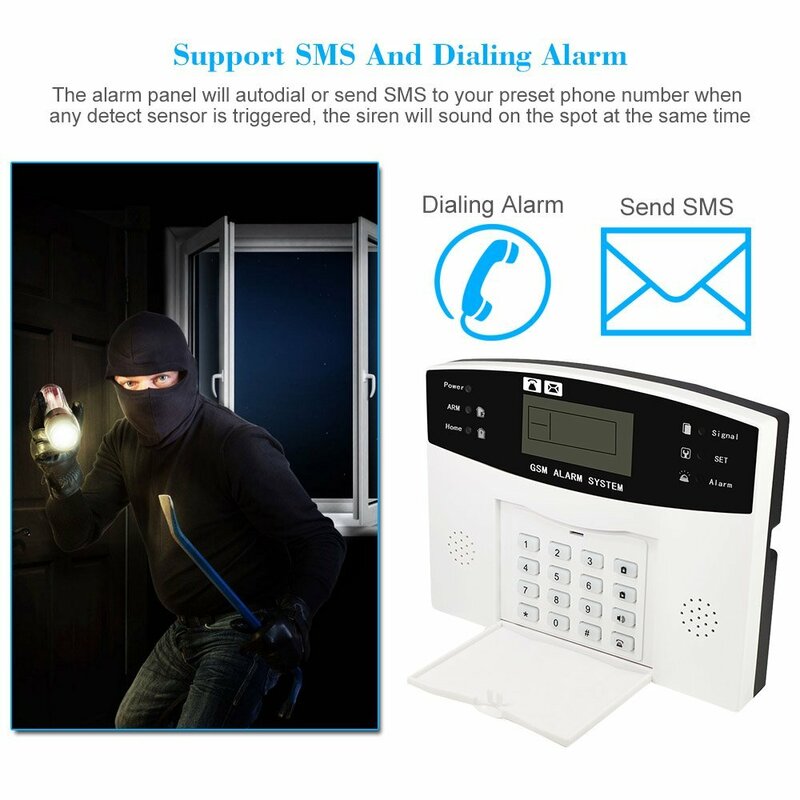 Widely use advanced mobile communication technology, supports SMS and dialing alarm. 2. 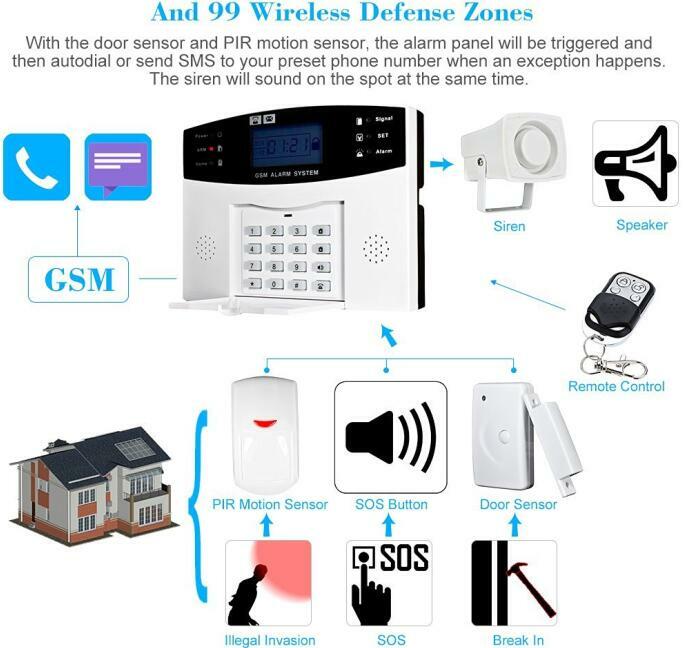 7 wired defense zones and 99 wireless defense zones. 5. Built-in clock& Speaker & Microphone& Battery. 7. Sound prompt for all operating. 8. SMS prompt automatically about low-power of battery. 9. SMS prompt when AC power lost or and recover. 10. 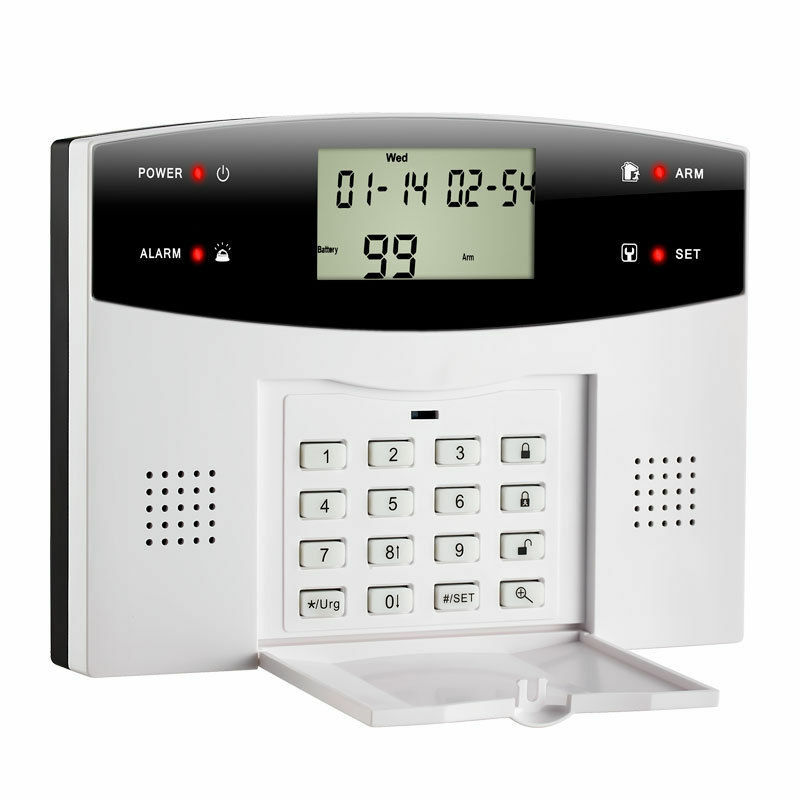 Can store 6 groups of phone numbers: when alarming, system will make alarm call to these numbers automatically. 11. Can store 3 groups of SMS numbers: when alarming, system will send alarming SMS automatically. 12. 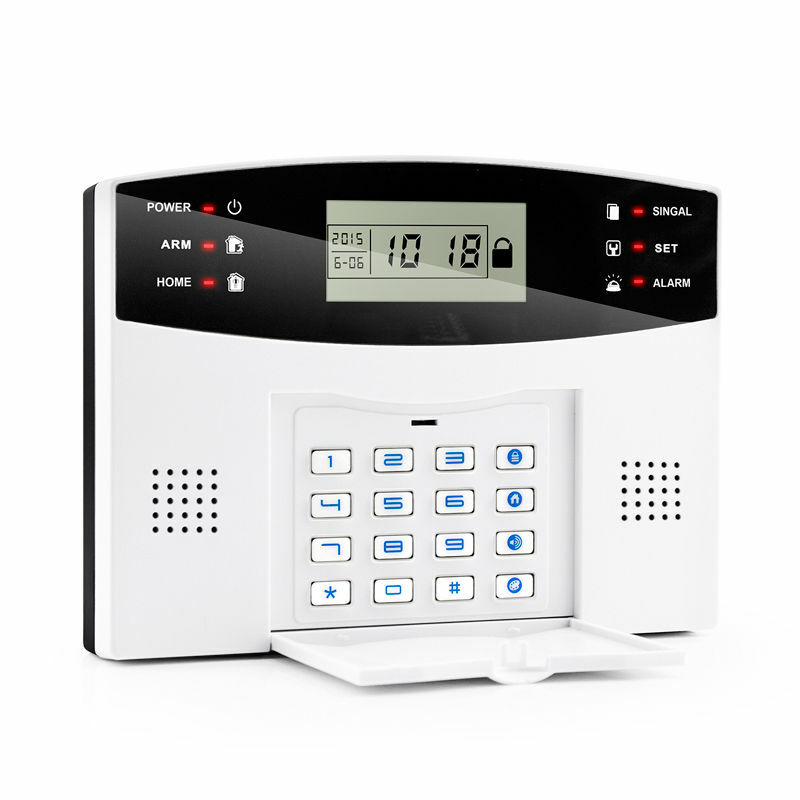 Can store 2 groups of call number about alarm receiving center. 13. 10-second automatic message recording. 14. Built-in artificial intelligent digital voice announcer. 15. 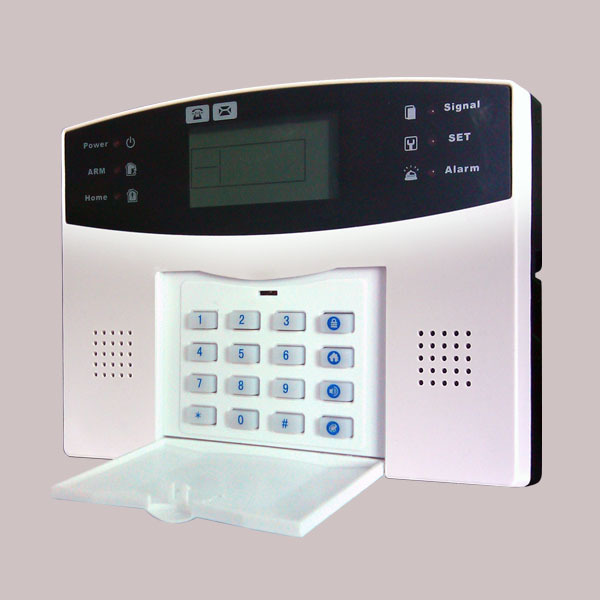 Users can make calls by using keypad on alarm panel, just like a telephone. 16. One key control function: out arm, home arm and remote arm. 17. 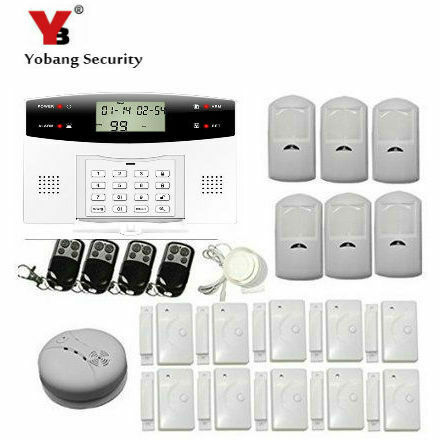 SOS, fire, gas, door, hall, window, balcony, and perimeter places alarm. 18. 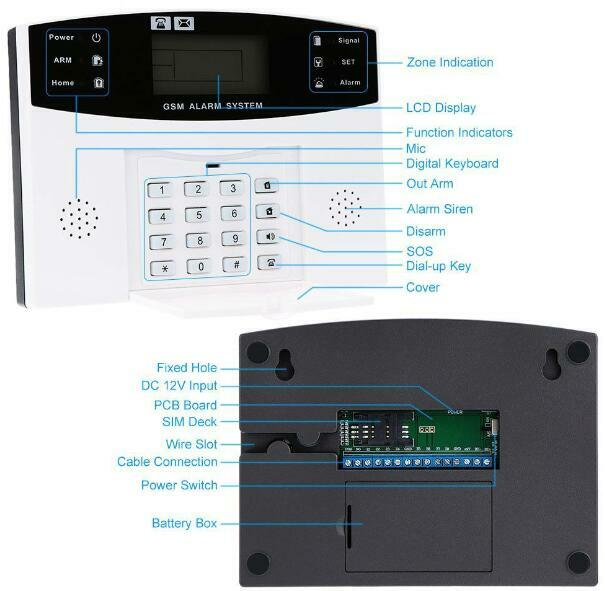 Real-time, delay, 24 hours, bypass defense zones programming function. 19. Wireless coding: easy to add additional wireless accessories. 20. 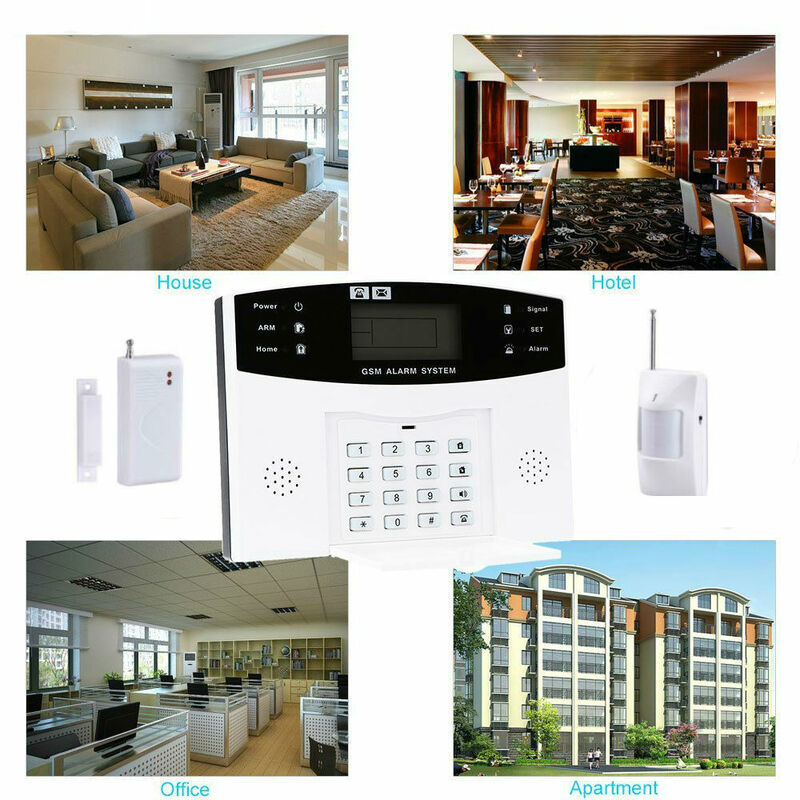 Remote control arm, disarm, monitor and intercom by phone. 21. Built-in AAA Ni-Hi rechargeable battery: make alarm when power-off. 22. Complies with CCC safety standard and GB12663-2001 National standard. 23. Multi-language for option for Home, office ,shop, bank,etc.